Charming 2 bedroom Gemini Twin home available in highly sought after Sun City active adult golf course community. Love life while enjoying resort style amenities including a sparkling pool and spa, workout facility, rec room, tennis court and much more. You will love the park-like grounds and your own private courtyard. 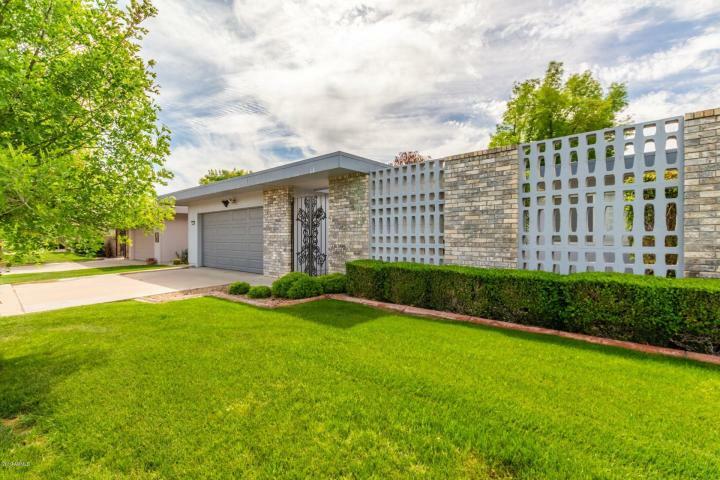 Inside is bright and very well maintained featuring a spacious, flowing floorplan, a neutral color scheme, tile and carpet in all of the right places. Eat-in kitchen and plenty of cabinetry. Bedrooms are generously sized and each has its own walk-in closet. The 2 car garage is an added bonus. This one will sell fast. Book your showing today.